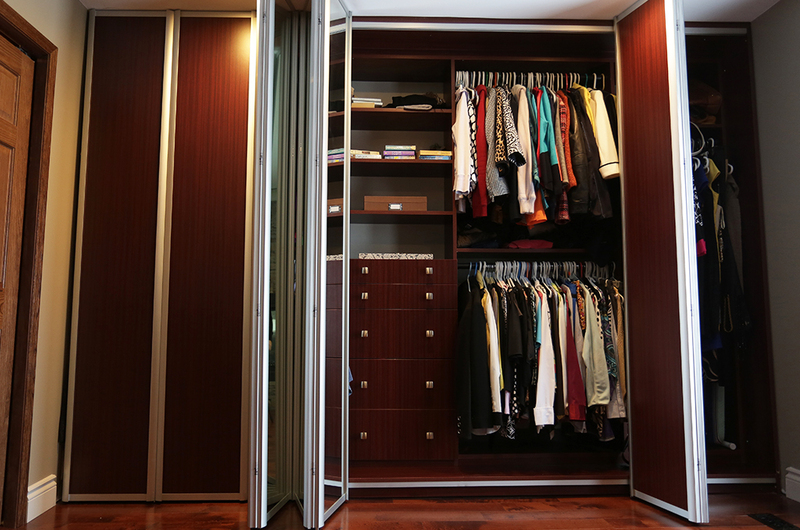 Custom made by glen Robertson closets, this particular unit was designed for practicality and style. 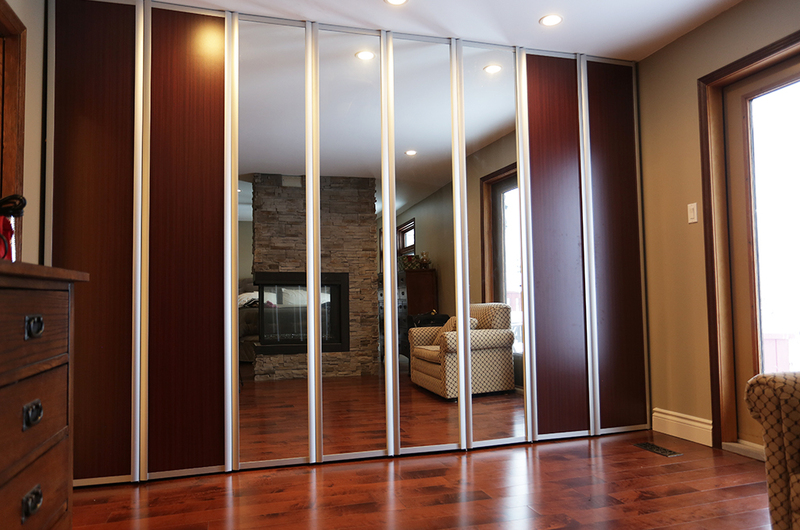 It not only incorporates all of the storage needs that the client had desired, but was made to look like part of the surrounding room as part of the wall. Design Melamine Finish: High Gloss Mahogany. 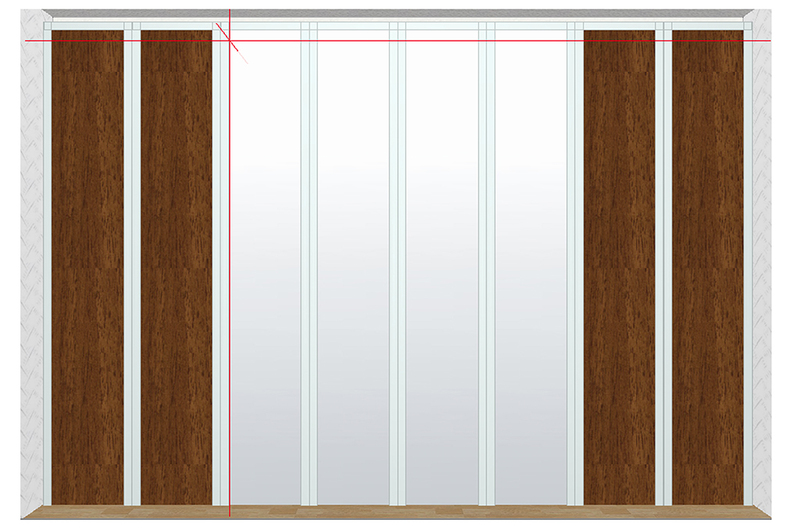 Bi-Fold Doors: Mirror and machine interior combo.